I know I have been promising this for a while, but I am finally going to tell the final chapter of the Potty Training Saga. For those of you who are new to the Kitten Blog, or simply have a poor memory, you can get caught up on the Potty Training Saga: here, then here, then here and finally the last paragraph from here. ...things seemed to be going pretty well. 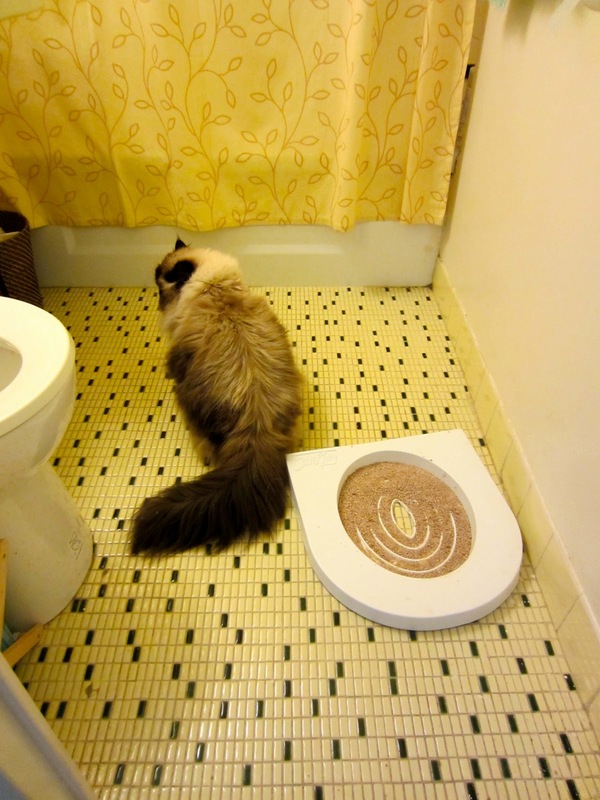 Kitten was using the litter tray on the toilet. As you can probably tell from his facial expressions, he didn't really enjoy it; but since it was the only option, he put up with it. Unfortunately, as we took out more and more rings, Kitten still clung to using the litter. 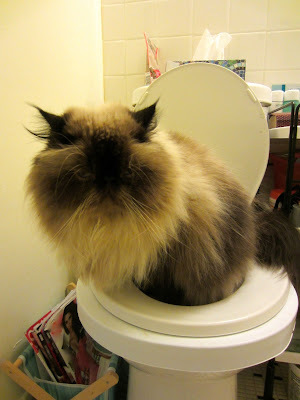 He would perch right on the ring of litter when we was supposed to be sitting on the edge of the toilet seat. 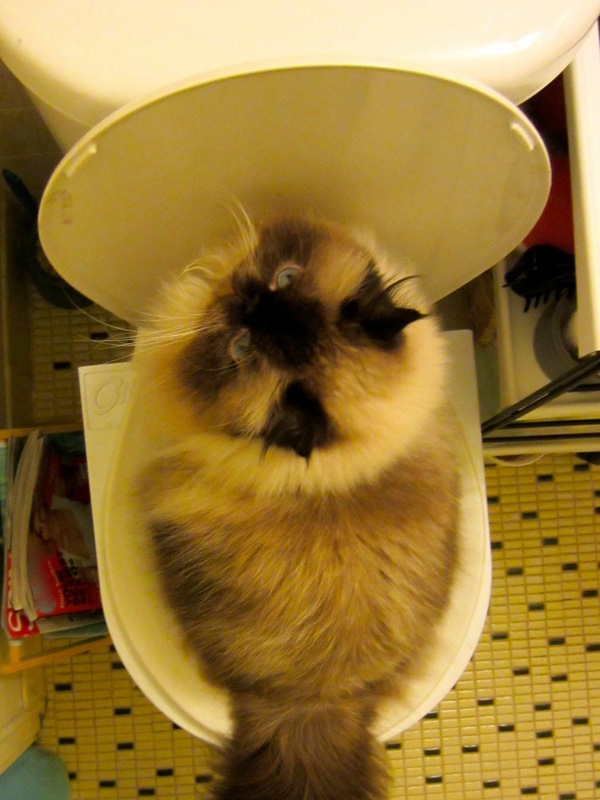 Then one day, for no apparent reason, Kitten decided that he would only pee in the litter. I have no idea what happened, but out of the blue, Kitten started doing "number two" in anything porcelain, except the toilet. As soon as Boyfriend or I heard scratching in the tub, we knew what Kitten was up to. 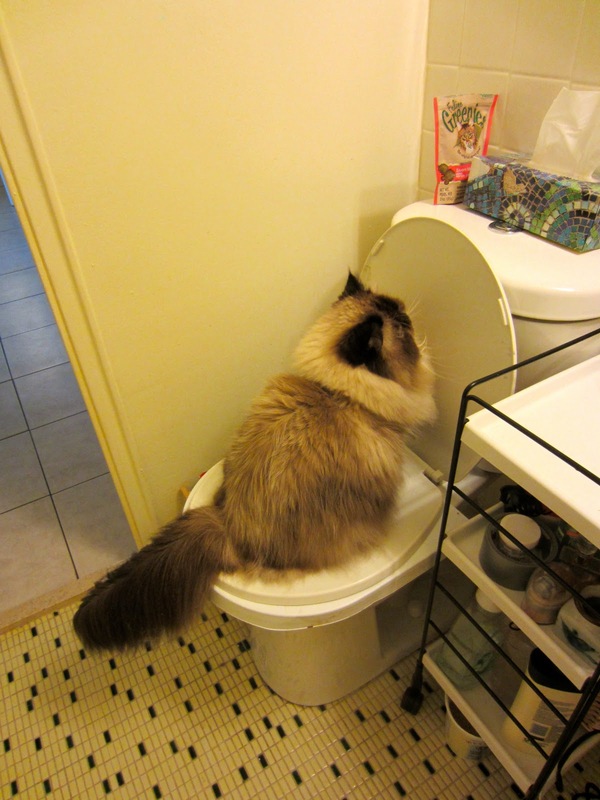 Boyfriend looked into this online and found out that this is a pretty common problem with cats being toilet trained. For some reason, most cats are okay using the toilet, except for "number twos." We weren't ready to give up, so we decided that we would keep toilet training, but provide Kitten with litter for "number twos." We filled a small tray with litter, put a lid on it, and kept it under the sink. Kitten was pretty good at letting up know when he had to go, and we would pull it out for him to use. Things seemed to be back on (the altered) track. But then, Kitten got sneaky. He started pretending to need to go "number two" and would then proceed to pee in the litter box. Next thing we knew, he was refusing to use the toilet at all. And not only was he refusing to use the toilet, he devolved from using porcelain to using the bath mat, which he would kindly flip over when he was done, leaving a pleasant surprise when Boyfriend or I went to shower. The whole situation fell apart and Boyfriend and I (once again) conceded defeat. We really did not want to go back to using litter though since Kitten's abnormally furry paws track litter everywhere, sometimes making it necessary to sweep three to four times a day. I did some research, and have come up with some form of a solution: Pellet Litter. There are apparently many types of pellet litter. 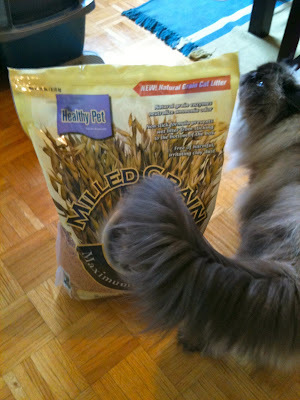 The one I bought is milled grain. Since the pellets are larger, they shouldn't get caught in Kitten's fur the way little flecks of regular litter do. At first Kitten was not too impressed. I tried to put him in the pellet litter and he absolutely freaked out. He didn't seem to like the feel of the pellets, so I ended up putting a pretty thick layer of regular litter over the pellets and he now seems okay with it. I think next time I can get rid of the litter completely. 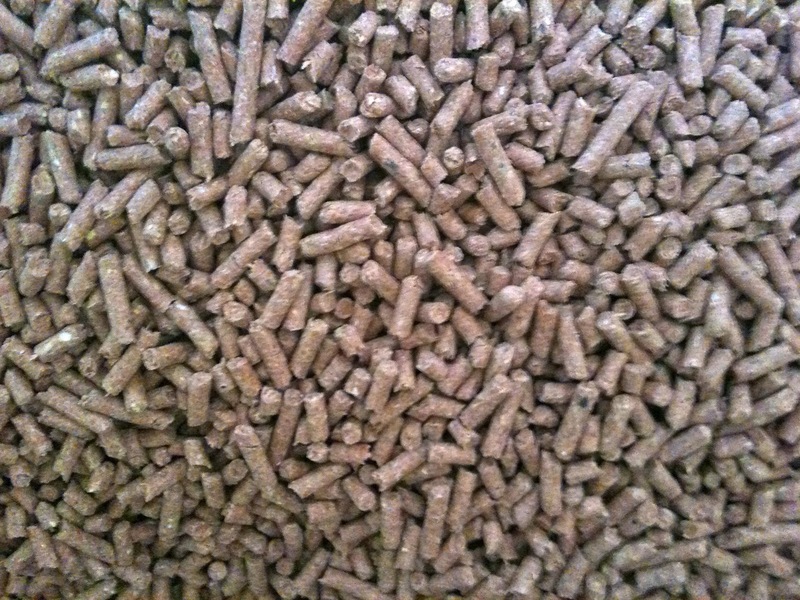 Since switching to pellet litter, I have only seen a few pellets on the floor. 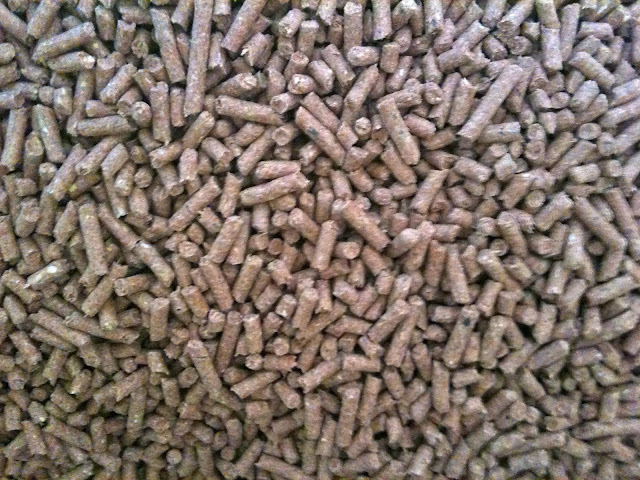 A few pellets a day is pretty exciting for me; a massive improvement from handfuls of litter. 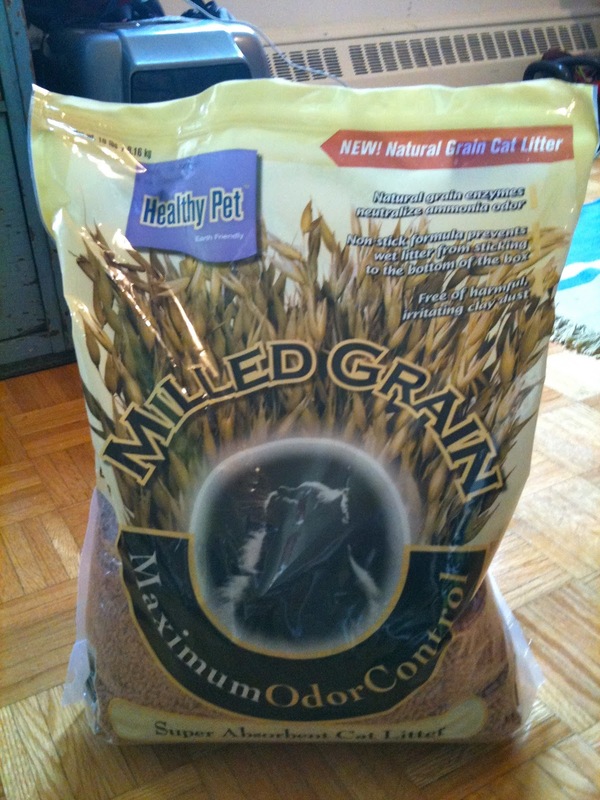 Ultimately, I am still sad that the potty training failed, but I am happy to have found a better alternative to regular litter. And that my friends, is the end of the Potty Training Saga.